Samsung on Wednesday announced a pair of new notebooks, the Ativ Book 9 Pro and the Ativ Book 9 Spin. Both machines pack similar internal hardware despite the fact that they fill different roles as a traditional notebook and a convertible hybrid, respectively. 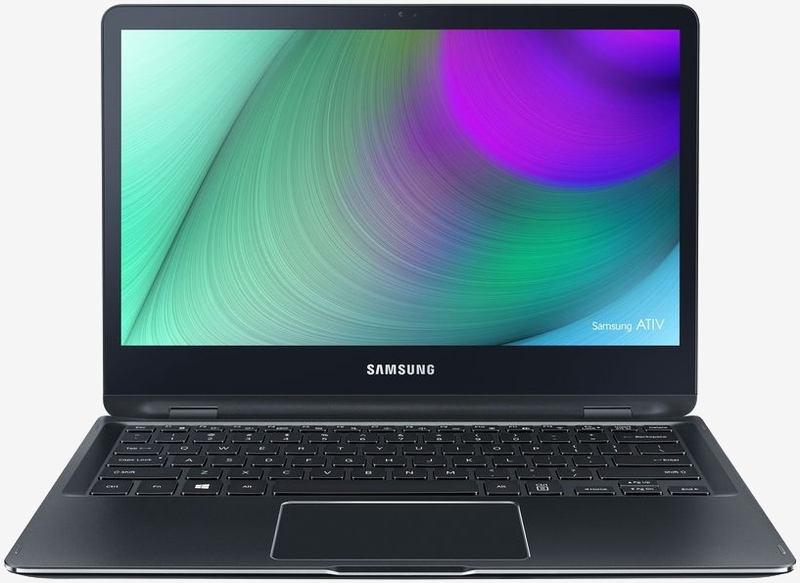 The Ativ Book 9 Pro is Samsung’s first notebook with a 4K display (15.6 inches with a resolution of 3,840 x 2,160). It’s powered by Intel’s Core i7-6700HQ processor clocked at 2.6GHz, Nvidia GeForce GTX 950M graphics and 8GB of RAM. There’s also a speedy 256GB solid state drive for local storage needs. The Book 9 Pro includes three USB 3.0 ports, a USB Type-C port and a 4K HDMI-out port in addition to an SD card reader and four speakers. It’s packaged in an all-aluminum body that measures 14.72 by 9.83 by 0.7 inches (HWD) and weighs 4.45 pounds. Samsung says you can expect up to 6.5 hours of battery life on a single charge. The Ativ Book 9 Spin, meanwhile, packs a less impressive (yet still impressive) 13.3-inch touchscreen display operating at a resolution of 3,200 x 1,800. Inside is Intel’s Core i7-6500U processor ticking along at 2.5GHz with integrated Intel HD graphics, 8GB of RAM and 256GB of flash storage. It, too, includes three USB 3.0 ports, a card reader and HDMI-out although there’s no USB Type-C connector. It measures 12.39 by 8.69 by 0.59 inches (HWD) and tips the scales at just 2.87 pounds. Buyers should be able to squeeze around seven hours of life from a single charge, we’re told. The Ativ Book 9 Pro starts at $1,599 while the base configuration of the Ativ Book 9 Spin can be had for $1,399. Both models go on sale later this month, just in time for the holidays.